background in the great spiritual tradition of Taoism, the origin of psychology, science, and technology in East Asia and the source of the insights into human nature that underlie this most revered of handbooks for success. 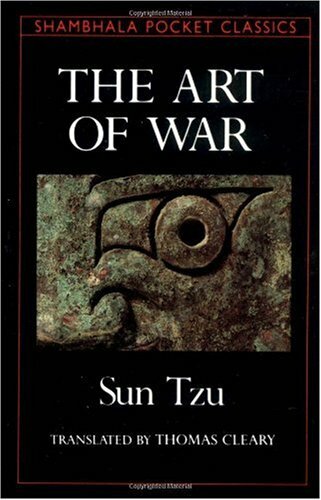 Translated from a standard collection of commentaries on Sun Tzu's text by eleven interpreters, the work has been edited by Thomas Cleary to bring out the meaning of the principles of strategy. In addition, the translator provides an extensive introduction discussing the content and background of the book. war is governed by five constant factors (1) The Moral Law; (2) Heaven; (3) Earth; (4) The Commander; (5) Method and discipline)". Sun Tzu is believed to have died in 496 B.C.E.